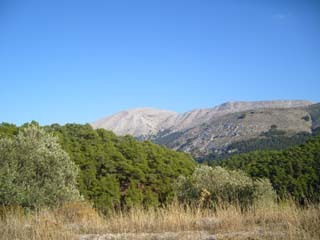 Mount Atavyros (Αττάβυρος) or Ataviros is a bare mountain, which rises to 1215 meters. Otherwise very arid mountain is covered in a carpet of spring flowers composed of white sage and blue anemone blue and pink cistus, a show that rewards the efforts of ascension. 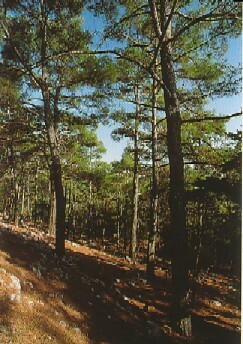 The summit is a sharp contrast to aridity dazzling slopes fertile and fresh greenery of pine forests. 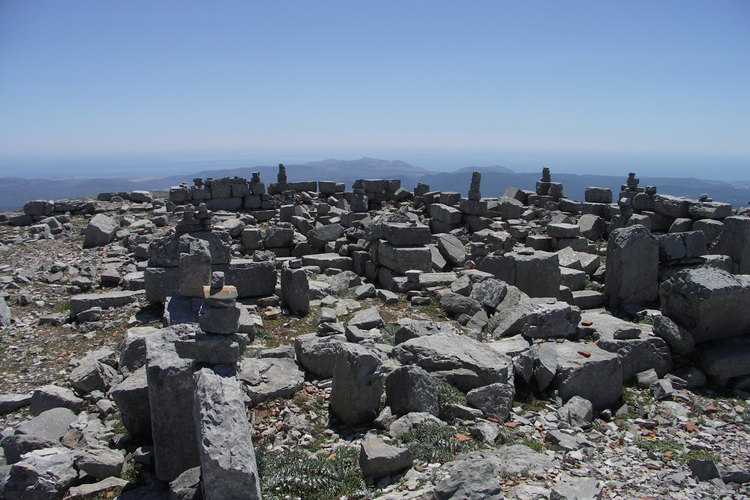 On the summit of Mount Atavyros you can see few remains of a sanctuary dedicated to Zeus dating from the Mycenaean period. 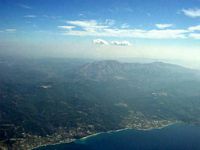 A terrible legend surrounds it : the altar would have looked like a bronze bull where people were locked. Then they set fire and the prisoners died a horrible death. 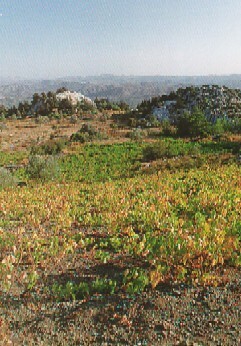 The priests interpreted the sanctuary shouts and calls of victims as oracles. 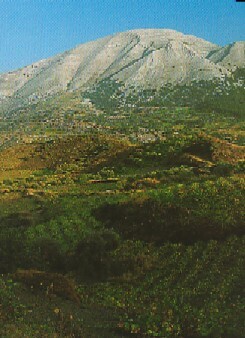 This is at least what still tell the villagers at the foot of this mountain. 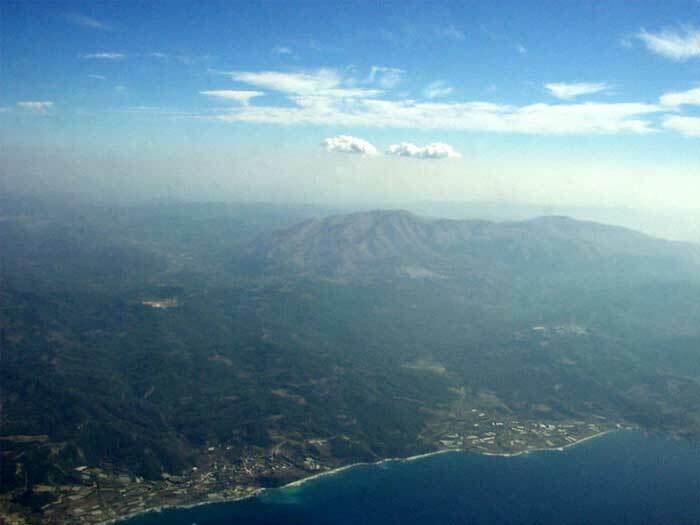 Mount Atavyros is the culmination of the island of Rhodes , with 1215 m of altitude. 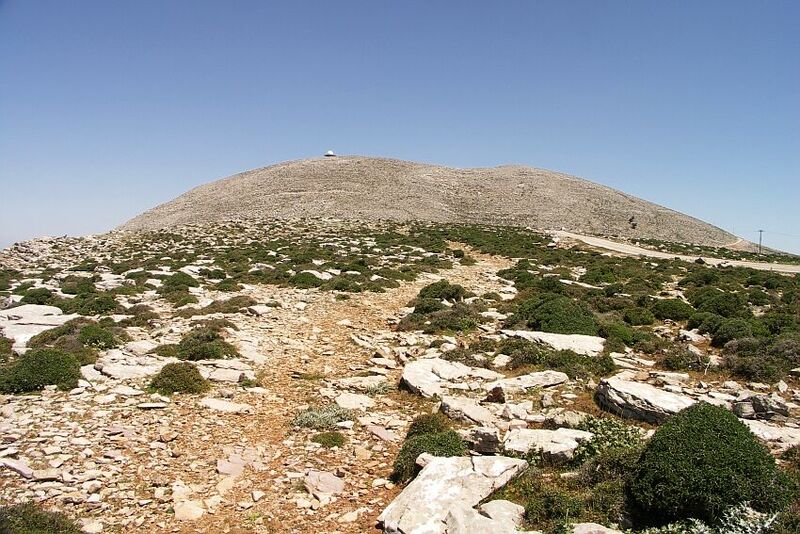 The ascent of Mount Atavyros is quite painful: it takes about 7 hours to make the trip and be equipped with good hiking shoes. 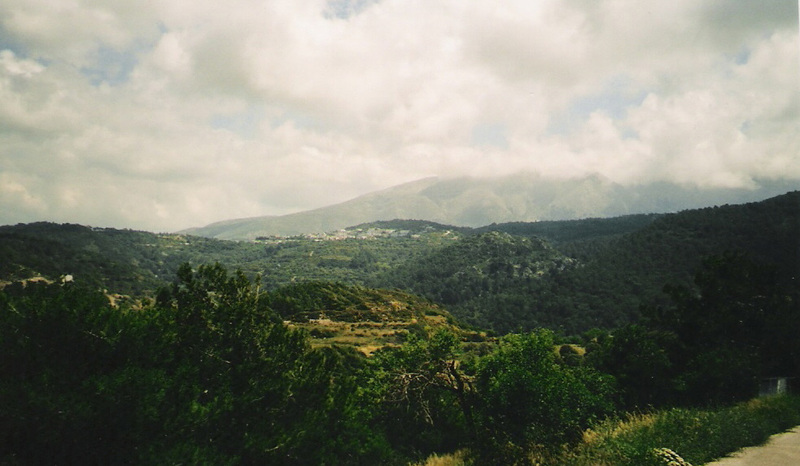 The best starting point for the tour is the village of Émbonas .